The highly impressive increase in price of cryptocurrencies has loomed large over the lustrous metal of gold for the most part of 2017, leaving investors to wonder what promise 2018 might hold for this highly favoured precious commodity. Jordan Eliseo at ABC Bullion stated in his interview with Kitco that, “gold will continue its recovery from the bear market. We see the metal appreciating towards $1,375-$1,425 in 2018”. While relying on pundits may seem as safe a method as relying on a 2-year old not to turn their plate of spaghetti into Picasso on your kitchen floor, the winds of sentiment do seem to be blowing in favor of an increase in the price of both gold and silver in the coming year. Gold is already trading above US$1350/ounce today. Given that investments in cannabis and blockchain have been so popular, many junior resource investors are left with a feeling of being left behind by junior resource stocks failing to share in their counterparts skyrocketing prosperity. Paradoxically, the profits investors are accumulating in the cannabis/crypto stocks could be a boon for the junior mining sector as the profits gleaned could easily role into accumulating resource stocks. For my part, I’ve found myself amongst the investor base screaming out for a move by the junior mining sector only to be left watching as these other sectors continue to rise to unseen heights. As the calendar continues to turn into the current year, I maintain my belief that we’ll see the mining sector begin to move in the direction we all desire. While I am neither seer nor oracle handing out predictions through crystal ball and tarot, more earthly portents can be seen in the key factors and performance analysis for those who are watching. One thing the mystical arts and predictive investing share in common, however, is unpredictability. In the case of investing, that unpredictability manifests in the stock market. One indicator that reveals itself as a key factor to gold’s performance is the value of the US dollar. Casting our eye back to 2017, we can see that the greenback suffered a decline of nearly 10%. 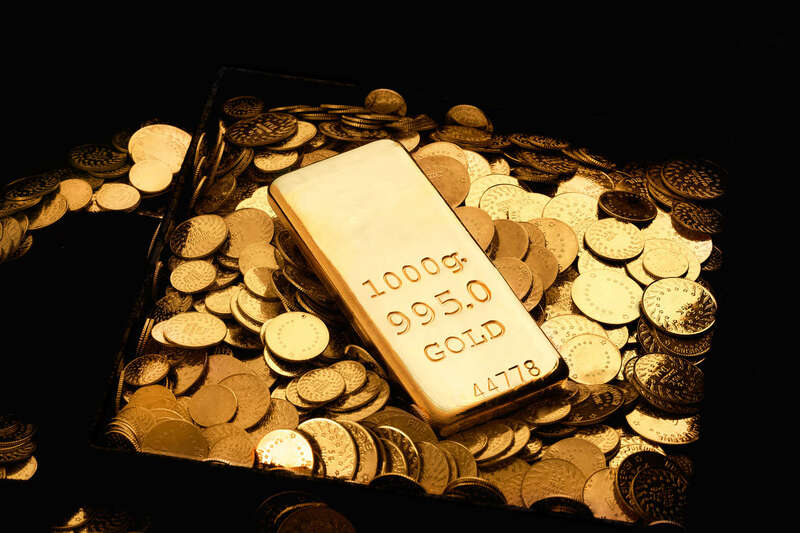 The reasons for this are legion, and should it continue as I believe it will in light of the current political and economic uncertainty, gold will continue to rise in line with the increased buying power found in foreign currencies which will put it in easier reach of more investors. As demand rises, so does the cost of the resource. Speaking of demand, we need to take a look at supply, its counterpart to find another indicator. Mining technology hasn’t really advanced much in the past year, and scarcely more in the few years past. This means that gold will probably continue to come in at a predictable production cost, while demand for it upswings. High demand and diminishing supply? That’s a recipe for rising prices. The next important element to consider is US Federal Policy – the politics of that country have an inordinate affect on the price of gold. Fiscal tightening tends to have the result of decreasing the value of gold, but this past year hasn’t shown that trend to be holding out. Three interest rate hikes over a single year and gold has continued to increase in value. Perhaps if you’d like to thank someone for these circumstances, you might feel moved to write a letter of thanks to the US Government and their Commander in Chief, Donald Trump. So long as political unrest continues in the US, this commodity is bound to continue rising in value. Add in the recent cuts to the corporate tax rate and equities and gold may both see a rise in tandem with inflation and interest rates, an occurrence rare enough to be nearly unique. Investors may be inclined to seek a place to invest their profits made in ganja and crypto stocks, and where better than the old reliable that is junior gold stocks? Whatchoo talkin’ about Willis? You’ve already told me that gold should continue to rise! Remember the crystal ball phenomenon, predicting the timing is very difficult, though time coupled with the technical analysis reveals that the patient investor should see great rewards. Ultimately it comes down to this. Whether you’re looking for evidence that the value of gold will rise or decline, you’ll find it if you look hard enough. Predictions exist that gold will tank, and other predictions have been made by experts that indicate it may rise to a value of $5000/ounce. In light of the key indicators mentioned above I have every reason to believe the increase should continue into 2018. This could very well be the year for junior mining stocks to reward the patient investor. As always, do your own due diligence before making any investments – the informed investor is a wise investor.